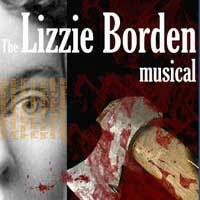 Lizzie Borden was accused of the grizzly double murder of her father and stepmother with an axe. She was acquitted in 1892, making her so infamous she even became the subject of a macabre jump-rope rhyme. Officially unsolved, the case continues to capture the popular imagination. The Lizzie Borden Musical finds the wealthy but unhappy Bordens delving into dark and shocking family secrets, while local textile mill workers in Spindle City grow dissatisfied with their wages and conditions. The lives of the Bordens and the mill workers intersect in unexpected ways in this shocking, funny and scary musical at North Hollywood's Secret Rose Theatre. You can even join in on the twisted fun by dressing up in your own period costumes during the show's special Halloween performance. "...Right from the start, the sound effects, music, and lighting encouraged me to sit up and take notice! The moment Emily Bridges (daughter of actor Beau Bridges) stepped onstage portraying Lizzie Borden, her facial expressions and vocal ability knocked me out. In fact, her character reminded me somewhat of TV's Nancy Grace in that her acting demanded you pay attention! Soon, it was difficult to remember that I was in sitting in a small theater instead of sitting and watching a New York Broadway play!" "...Musically gifted performances were given by the cast. Standing out was one little boy Joey (Christian Simon) who radiated each time he appeared. Also noteworthy was Nance O'Neil, (Kristin Towers-Rowles) whose perfectly timed entrance exploded onto the stage with lightness and frivolity. Though the cards are stacked against liking Andrew Jackson Borden (Chas Mitchell), his performance was on point. Never overplayed as an evil maniacal man, Chas played business man Andrew Borden perfectly. Needless to say (Emily Bridges) is stellar as the lost, confused and on the cusp of sanity Lizzy." "...pindle City is unfocused as a musical. The songs are mostly lackluster; even the ballads for Lizzie are not particularly pleasant to listen to. Bridges does her best, but the poignancy is not there. Trace Oakley directs the proceedings adequately and set design by Aaron Glazer, costumes by Taylor Moten and choreography by Averi Yorek are all above standard. It's the show that's at fault, so back to the drawing board and let's decide the direction to take. There's plenty of good drama for a play, but musically, take out the abundant pieces that do not fit."